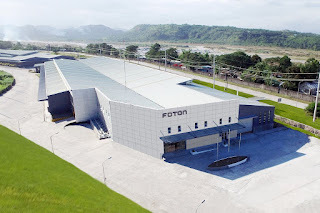 Three years after its groundbreaking ceremony, FOTON Philippines officially commenced its assembly plant located in the Clark Freeport Zone. 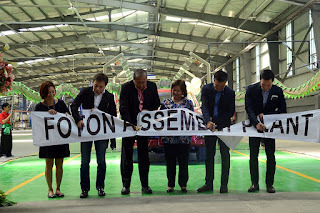 Together with Foton’s partner banks, financial institutions, the media, and its dealers, the event was also participated by honorable guests namely Pampanga Governor Lilia Pineda, Clark Development Corporation President Atty. Art Tugade, BCDA President and CEO Atty. Arnel Paciano Casanova, and Customs Commissioner Alberto Lina. In Foton Philippines President Mr. Rommel Sytin’s opening remarks, he extended his sincerest gratitude to those who shared the long journey on Foton’s road to success: “Having been in the automotive industry for quite a while already, this assembly plant is truly the ultimate goal that my brothers and I had.” says Sytin. He also commended his Foton family for showing much of their support in achieving one of the greatest milestones in the history of Asia’s largest vehicle manufacturer. 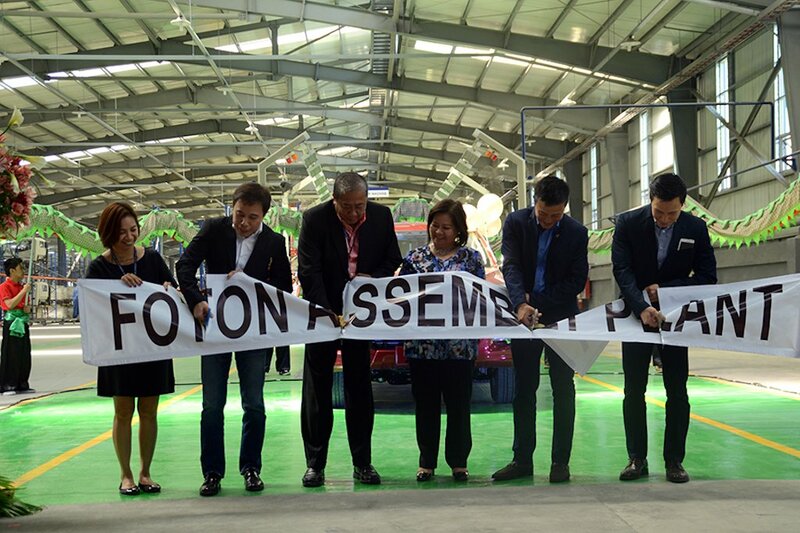 The 11-hectare assembly plant is the first assembly established in the Clark Freeport Zone. It includes an open area for Foton’s ready units and is composed of two lots facing each other right behind the Clark Expo. The first lot houses the assembly and other production operations, while the second serves as a stockyard. The Foton plant operations can be determined through its three major facilities, namely Unit Assembly in Building A; a 4, 200-square meter Parts warehouse and Pre-Delivery Inspection in Building B; and Body Fabrication in Building C. In its full capacity, the single assembly line could produce a total of 12,000 units in a year, but Sytin shares that shortly, Foton plans to add another assembly line to mainly increase the production of Foton vans. This plant represents a P 1.2-billion investment. 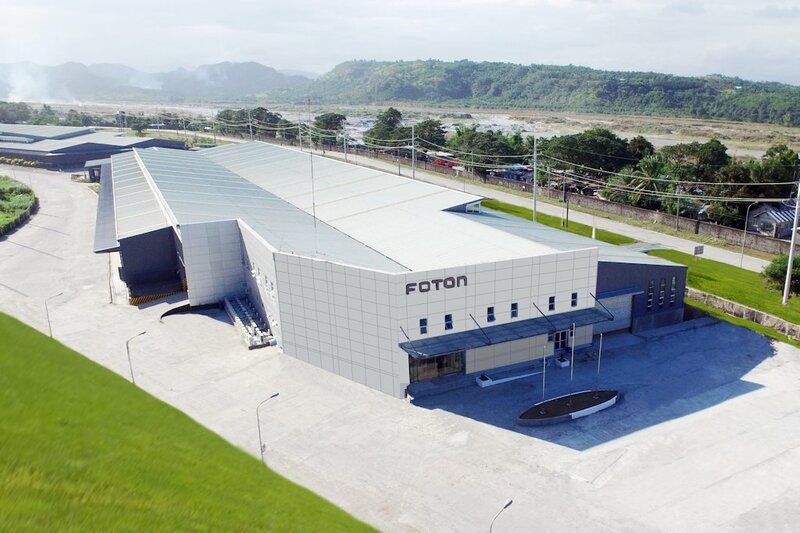 As the plant officially starts its operation, it is anticipated that Foton’s development in the automotive market will become more evident in the subsequent years due to the eventual increase of their production. Also adding up are more work opportunities for local workers in the region. Foton’s humble beginnings have eventually turned out into a promising outcome. Starting from a sales volume of 100 units in 2007, the script was flipped as Foton reached almost 4,000 unit sales in 2015. “By the year 2020, FOTON Philippines aims to achieve an annual sales volume of 20,000 units,” positively exclaims Sytin. Foton Philippines’ standing in the automotive industry strives and continues to rise not just to empower their business and of their customers’, but also that of the Philippine economy—a truly admirable feat for a brand that has been in the Philippines for less than a decade.